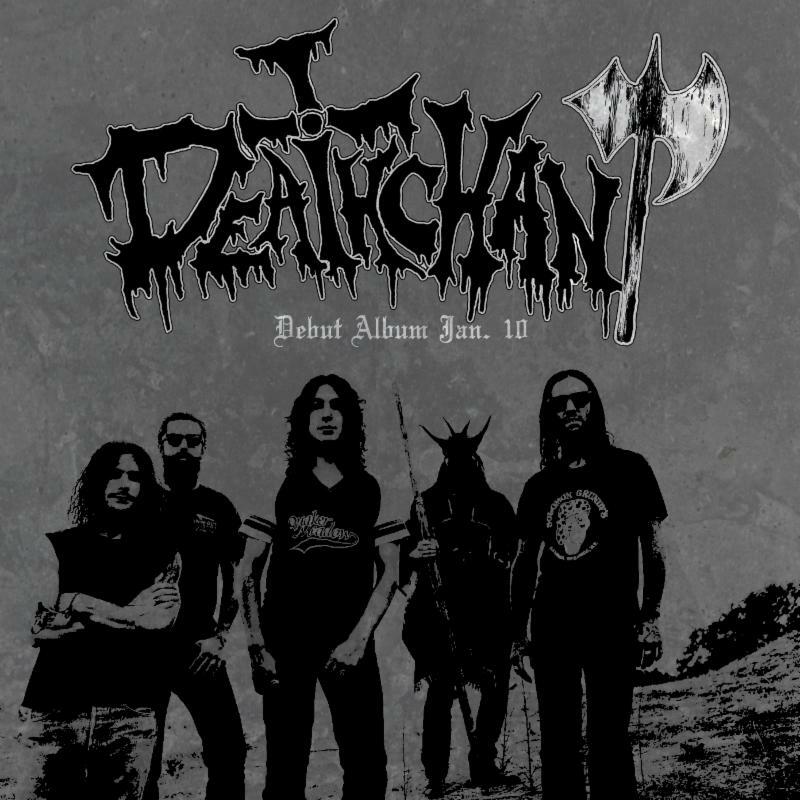 Los Angeles-based psychedelic heavy proto-metal collective DEATHCHANT will release their self-titled debut this January via King Volume Records. Captured live over a two-day period at a secluded cabin in Big Bear, California, the seven-track recording manifests an immersive wall of noise-induced heavy metal mania that is equal parts paranoia and transcendental harmony. In advance of the release, Doomed & Stoned offers up opening track "Pessimist" for communal feasting. Check out the track alongside an interview with creator TJ Lemieux, courtesy of Doomed & Stoned. Deathchant will be released on January 10 digitally and on vinyl via King Volume Records with Dune Altar handling the cassette edition. For preorders, visit the King Volume Badcamp page where you can also stream first single "Hex." California residents can catch DEATHCHANT live next month.